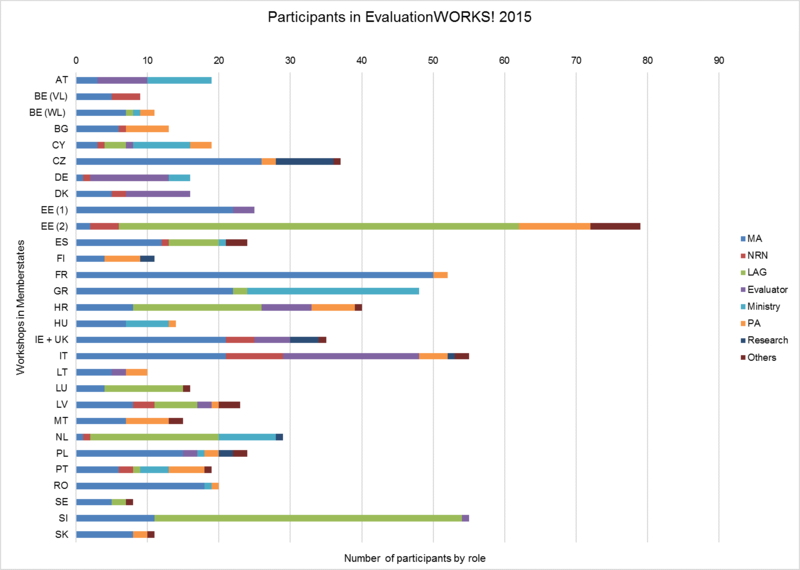 Three training modules were offered for the Evaluation Helpdesk’s yearly capacity building events EvaluationWORKS! 2015 in order to meet the requests and needs of Member States. How to make consistency checks among EQs, judgment criteria and indicators, etc. Between October 2015 and June 2016, 29 capacity building events in 28 Member States were conducted. The trainings were attended by a total of 750 participants. The exchange and transfer of experiences between stakeholders. Montrer la valeur ajoutée de LEADER/CLLD par l’évaluation.